Music is traditionally associated with many aspects of African culture and the daily experience of Africans. 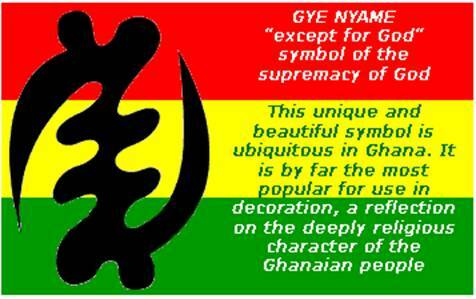 The same observation can be made about the Ghanaian culture and society. Traditional Ghanaian music shares many of the patterns and characteristics described in module thirteen about African music [See Module Thirteen: Introduction to Module Thirteen: African Music]. This section will address modern music of Ghana – the contemporary popular music commonly known as Highlife. The name ‘Highlife’ was coined in the 1920’s and it refers to the fusion of Ghanaian traditional music and a popular music that developed between the late 19th and the early twentieth century. Highlife was influenced by three external styles in its evolution. There was the influence of the coastal military-fort brass bands, then that of the port music of seamen and fishermen, and finally the influence of local dance orchestra of the Christian elite. The fife-and-drums and brass bands were first introduced by the Europeans military based at the coastal forts. 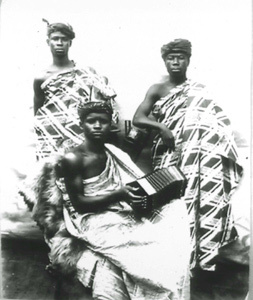 The first native Ghanaian band was formed in the middle of nineteenth century. This group only played western military marches and dance music, and not any local Ghanaian songs. “Adaha” is considered the earliest form of highlife music performed in the country. It was created by the blend of syncopated march music fused with Caribbean and local Ghanaian music. 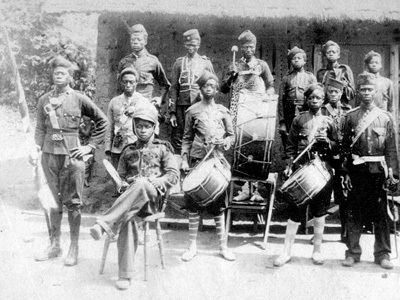 Krobo Matakole Kainka Brass Band, 1897-8. Palm wine music was developed as a distinctive musical style in Ghana in the 1920s and 1930s. This style owes its name to a local brew often consumed liberally when the music was performed. Professor John Collins explained that the name ‘palm wine’ was derived from the “the low-class dockside palm-wine bars where foreign and local sailors, stevedores and dock-workers congregated to drink the fermented juice of the palm-tree.” (“the early History of West African Highlife Music” Popular Music Vol. 8, No.3, African music (Oct. 1989), pp. 221-230). Palmwine Accordion Band Kwadwo Seidu’s 1954. 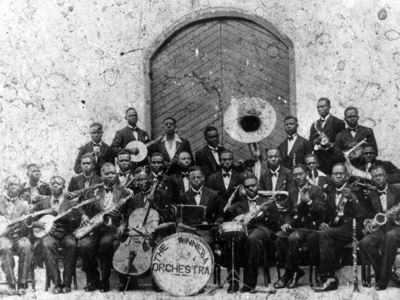 Accra Orchestra The Winneba Orchestra in front of the University of Accra building, 1932. What is the meaning of ‘Highlife’ and how did the genre originate? What are the characteristics of the “Adaha” version of Highlife? You have read these three descriptions on the Highlife music. Go over these descriptions and use Google to listen to each musical style. What did you notice? Can you notice any difference between the “adaha” and the Palm Wine music? What about the Highlife as performed by the Christian elite, does it sound similar to the other two genres? The SEPEREWA is the Ghanaian (specifically Akan) version of a harp-like instrument found in many West African cultures. Seperewa is a harp lute and it belongs to the class of chordophones. (Chordophones are stringed instruments.) They are either played with the hand or with a bow and the sound is produced on them by setting the strings into vibration. There are many varieties of chordophones, ranging from one-stringed fiddle to 8 or more strings. These include varieties of lutes, harps zithers, lyre and musical bows). 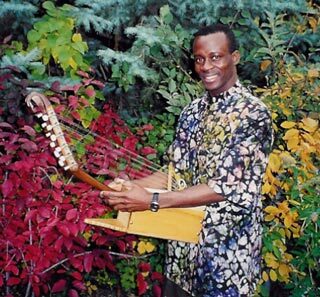 The Seprewa instrument originated in the Ashanti region between the 17th and 18th centuries. King Osei Tutu, an Asante King was said to have loved the instrument so much that his successor King Opoku Ware caused a replica of it to be made in his memory. The instrument was wrapped in gold leaf, and placed among the paraphernalia of the Golden Stool, which Osei Tutu established as “the soul” of the Asante nation with the help of his counselor, the great priest Okomfo Anokye. Seperewa which was used to entertain kings and also at palm wine bars, and at funerals, by the early 20th century found its way into the church, Christian weddings and conferences. Seperewa can be played in different positions. The player can play while sitting down with the instrument resting on his lap, with the neck of the instrument standing upright. He may also play while standing, the instrument I held firmly in the groin to gain enough support, the neck facing perpendicular in the same direction. Strumming and plucking are the two basic techniques applied and these are done by the thumbs and forefingers with some occasional assistance from the middle fingers. The Seprewa player can even dance while he is playing or make some dramatic movements. A long stick which forms both the neck and the tail piece. A rectangular sound-box with two small holes bored in the side of the sound box. A set of strings which may range from 6, 8, 10 and twelve strings because he can play any song he likes because of the wide tonal range. Under the influence of contemporary pop genres, highlife developed into different subgenres by the end of the twentieth century. Today in Ghana it is common for people to listen on the radio or in public spaces to a variety of highlife music referred to as hiplife, raglife, and burger highlife. These subgenres are created from the fusion of the original highlife music with other contemporary genre like reggae, hip hop or electronic music. 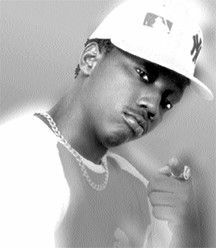 Influenced by American rap and hip-hop movement, hiplife became a popular genre in Ghana in the 1990s. Hiplife is more than a musical style, it is just like the hip-hop movement in the U.S., a cultural style which embraces an attitude, a form of expression of the youth. The lyrics of hiplife are in Ghanaian languages but use hip-hop and rap poetry style. 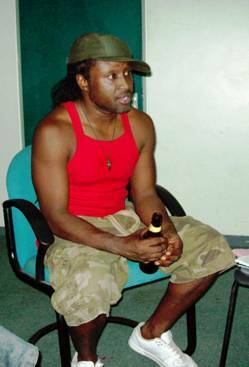 Hiplife was pioneered by a Ghanaian rapper raised in the U.S. –Reggie Rockstone. It is a different style or subgenre of highlife. It became popular a short while after hip-life and came about under the influence of imported music like reggae and ragamuffin (a sub-genre of reggae that leans heavily on electronic music). 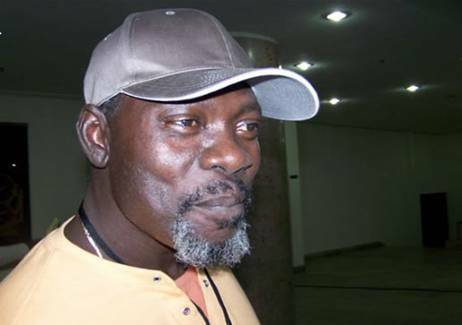 Ghanaian performer Samuel K. Twum-Barima a.k.a Yoggi Doggi is one of the pioneers of the rag life genre. In fact he insists that he was the brain behind the dancehall version of hip-life that he calls rag-life. This style was exclusively created in Germany in the 1980s by immigrants from Ghana who lived in the city of Hamburg–hence the name. It is a form of techno-pop style performed in the Akan language which combines three instruments: the highlife guitar, the disco drum- machine, and synthesizers. It is originally a version of highlife from the Ghanaian Diaspora that returned to Ghana and conquered the motherland through the return of some musicians from the Diaspora. 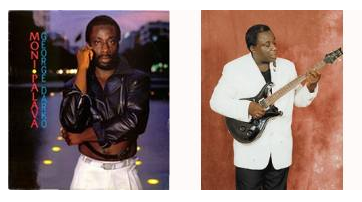 One of the pioneers of this genre was George Darko who together with singer Lee Duofu, the key-board player Bob Fiscian, and the bassist BB Dowuona formed the ‘Bus Stop Band’ and released one of the first hits of the subgenre in 1983 with the title “Akoo te Brofo’. Listen to sound bites of Ghanaian music by searching ‘Ghanaian Highlife’ on Youtube. 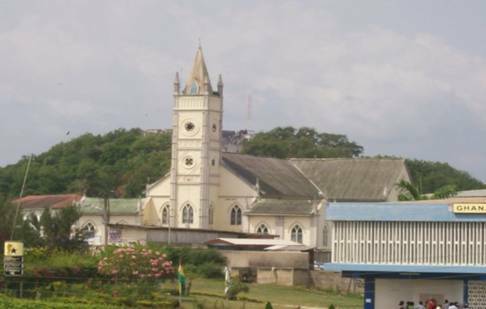 The religious landscape of Ghana included at the independence all the major monotheist religions in addition to a variety of indigenous African religions. The 1960 census showed that 41% of Ghanaians professed to be Christians, 38% followers of indigenous religions, 12% Muslim and 9% of the population had no religious affiliation. Among the 41 percent identified themselves as Christian, 25% were Protestant, 13% Roman Catholic, two percent Pentecostal, and 1% of the Christians were from African Independent Churches. More than two decades after in 1985 the percentage of Ghanaians who self-identified as Christians rose from 41 to 62% for the population. Within this 62 percent, 25% were protestant (non Pentecostal), 15% Catholic and the Pentecostals rose to 8% while the African independent churches rose from 1% to about 14 %. Muslim population also rose from 12% to 15%. The traditionalist and the non-believers dropped from 38 % and 9% to 21% and 1 % respectively. This drop is associated with an increase in the importance of African Independent Churches and their successful attempt to infuse Christianity with traditional African beliefs and world view. Ghana is a religiously diverse country that presents an apparent image of a tolerant society. But in actual fact this apparent harmony can sometime be deceiving for every now and then there are inter-religious conflicts that tend to generate open friction among the different religious groups. Across all Ghanaian ethnic groups, there is no difference between the natural world and the spiritual world. These two worlds are linked by a network of mutual relationship and responsibilities. There is a great emphasis on the veneration of the ancestors. A great deal of importance is attached to the person of the chief within the state, the family elders within the family lineage, and the priests within the society. 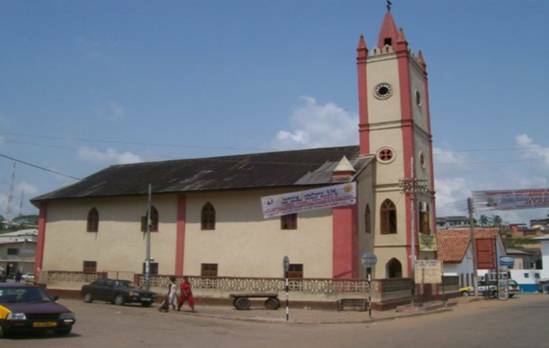 The presence of Christian missionaries on the Ghanaian coast can be traced back to the earlier settlement of the Portuguese in the 15th century C.E. But,the rise of Christianity as the dominant religion in Ghana came from the missionary work led by the Basel Presbyterians and the Wesleyan Methodists in the 19th century. 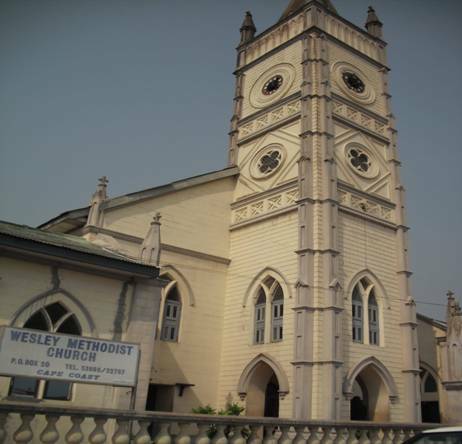 The Wesley Methodist Church in Cape Coast (Ghana). Missionaries’ top priority was the conversion to Christianity of the local population beginning in the coastal area. In addition to conversion, the missionaries also established schools that served as nurseries of the church where many Africans have been trained. Indeed, prior to independence in 1957, almost all schools (except for Koranic schools) in Ghana were administered and staffed by Christian missions. As mentioned earlier in the introduction to this section, Christianity is not the only faith in Ghana. There are many other confessions and interfaith relations are not always pleasant. The following section will study the Christian response to the presence of Islam and Muslims in Ghanaian society. Apathy and indifference which is reflected in an almost complete lack of interest and awareness of the Muslim -Christians dialogue on issues of social and political importance in contemporary Ghana. This indifference is demonstrated in the way some Christians perceive Muslims. They hold a very biased view of Muslims and the Islamic faith. For them a Muslim is no more than “a dirty, illiterate watchman from the north or uncouth bunch of strangers living in the dirtiest and filthiest part of the city.” Note that this perception of the Muslim often derives more from ethnic prejudice than religious prejudice. In congregation of this kind, only a handful of seminaries teach Islam as part of a comparative religion course. Apart from the above mentioned complete indifference, other Christians perceive Muslims only as objects of evangelization. This group does not really advocate a dialogue with the Muslim unless this happens through evangelism. There is no need for a dialogue for dialogue sake according to this group for in their reasoning Muslim cannot be regarded as neighbors. The ultimate goal of a dialogue with a Muslim is his conversion to Christianity. Any step or approach to study Islam here is to find its weaknesses and use it against the Muslim. There is a third group of Christians who are eager to initiate dialogue and understanding with Muslims. The Christian council of Ghana can be cited as an example here. With its Christian-Muslim department the Council seeks to organize Islamic seminars and other relevant activities for Christians. Although the responses to these seminars are still low, they present compared to the other two groups, better hope for Islam- Christianity dialogue in the country. African traditional religions recognize the existence of a Supreme Being or God. How do Akan and Ewe refer to this Supreme being? What were Christian’s attitudes about Muslims in Ghana? How do Christians in Ghana try to reach out to Muslims? 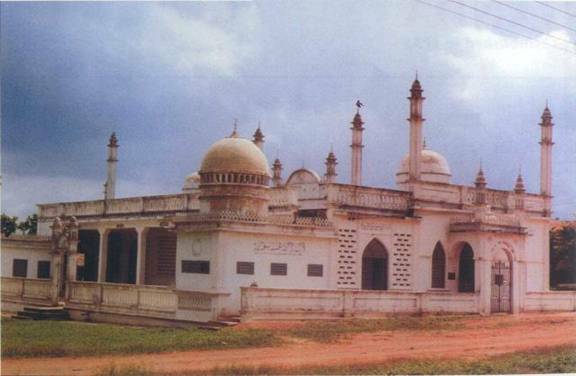 Although its adherents are numerically inferior compared to Christians (Muslims are about 15% of the population), Islam is one of the oldest religions practiced in Ghana. It originally came to the country from the north (Sahel region) in the 14th century. 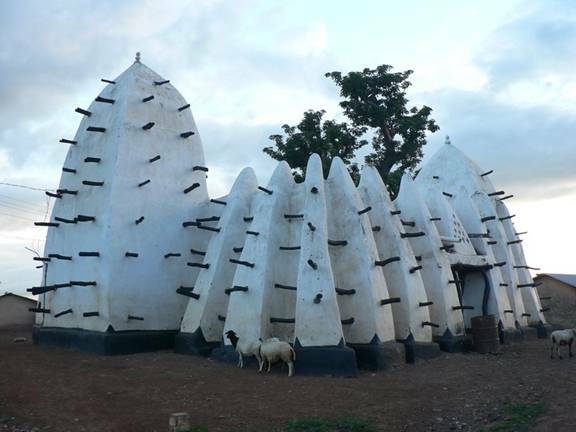 The Larabanga Mosque located in Larabanga as shown above is considered the oldest Mosque in Ghana. It is believed to have been built in 1421. 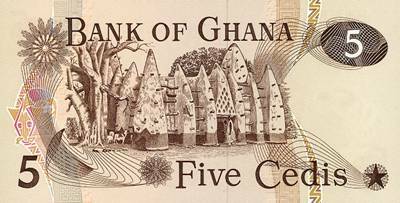 Below you could see the mosque shown on one of the oldest 5 Cedis note. Islam as practiced in Ghana and elsewhere in West Africa is homogeneous. Although not as divided as Christianity, there are different Islamic groups in Ghana—and throughout the world. That is why if you were to visit Ghana, chances are that you may find three groups of Muslims: the mainline Islam, the Ahmaddiyya group and some recent influences of the Farrakhan movement from the U.S.
a. In general most of the Ghanaian Muslims would claim to be Sunni within the Maliki legal tradition. Other traditions like the Ahmaddiyya movement have also become very vibrant and active in the country since the group has been invited in Ghana in 1921 by a section of the Fante Muslim converts. Today, the Ahmaddiyya membership and leadership is still dominated by the Fanti and Asante to the point where they are referred to as the “Fanti or Asante Islam”. In contrast, the North is known for practicing the mainline or Sunni Islam as shared by many other West African nationals living in the country. Remember when we studied the reactions of the Christian to the presence of Muslim, we talked about the Christian who were completely indifferent to the Muslim, the equivalent on the Islamic side would be the Ahmaddiyya movement. The Ahmaddiyya are known for their anti- Christian and anti-mainline Islam rhetoric in their preaching. b. Over the past three decades, Islam has experienced considerable development in Ghana and it has also received more attention in the country. This is demonstrated by the rise in the number of Muslim organizations. One of the most notable of these organizations is the Islamic Reformation and Research Centre financed by the Dar al-Ifta from Saudi Arabia. 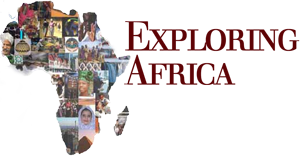 Started in 1971 in Accra, it has produced many students who have been to universities in Arab countries like Kuwait or Saudi Arabia. Other organizations like the Ahmaddiyya movement joined in the effort of this Centre to promote Islam in urban areas and but also in other part of the country through the establishment of schools and other public services. Muslim are also involved in missionary activities. These activities are more intense in the non-coastal regions of the country, especially in the city of Kumasi, the second major city of Ghana. The existence of different Islamic groups is not always a good thing. Quite often differences in opinions and strategies lead these groups to open confrontation among the different groups. This is usually the case between the Ahmaddiyya and the mainline Muslims on one hand and between the traditional Ghanaian Muslims and a group formed by students formerly studied in Arab Muslim world, on the other hand. Some groups consider themselves as the natural and normal custodians of the traditional Islam while others like the Saudi graduates see themselves as practicing the pure Islam. What is the general characteristic of Islam in Ghana? Which other Islamic groups is identifiable in Ghana? 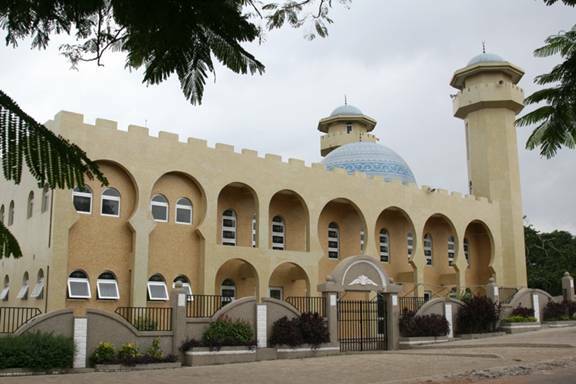 Why has Islam gained more attention in Ghana in the recent decades? As a consequence of colonial policy Ghana has been virtually divided into the Muslim North and the Christian South. This division is now perceived to be normal by many Ghanaians. There is a national perception regarding where each religious group traditionally comes from and where they belong. Because of colonization, the south is perceived more Christian than Muslim. 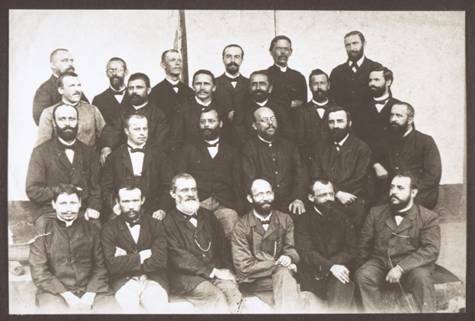 The work of various missionary groups over the years has paid off. The North on the other hand is perceived as a Muslim area. To prevent inter-religious clashes, the colonial administration defined the north as a Muslim area. As a consequence the ‘malams’ were recognized and accepted in the traditional courts. By deciding to rule through the chiefs, they inadvertently imposed Muslim rule in the north as many of these chiefs were Muslim or under Islamic influence. The colonial rule also restricted Christians’ missionaries from operating in the North. This policy reinforced the perception of either region as Christian or Muslim. However, this policy also resulted in the delayed introduction of the western style of education in the northern part of the country. 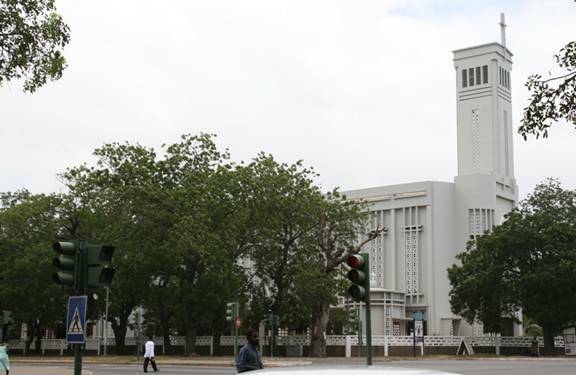 Following the independence, the Ghanaian government lifted this “mission-proof” policy. Today the situation has changed. Though some ethnic groups like the Wala, Dagomba and the Mamprusi still strongly identify with Islam, many northerners continue to be adherents of indigenous religions. The south used to be seen as Christian but there is an increasing number of Muslims who can also call that area their home. The Ahmaddiyya movement, for example, is one of the most active groups in the south and it is most predominant among the Akan people. This apparent territorial divide between the north and the south was repealed after the independence, making it easier for the population from both the South and the North to share the same country as Ghanaians. Both Islam and Christianity now exist and coexist in many villages and towns around the country. Christians and Muslims have tried to build peaceful relations, based on tolerance. It is common to see people from the same family adhering to different faiths. During the celebration of Id-el-Fitr or Id-el-Addha, wedding or naming ceremonies, Christians visit their Muslim relatives and friends. Similarly Muslims also would visit relatives and friends on Christmas or other celebrations including the ordination of priests. Gifts and meals are usually shared on these different occasions. Like it happens it many communities, occasional frictions may occur between Muslim and Christians. However these frictions do not prevent Christian and Muslim leaders to come together in moments of crisis in Ghana and call for consensus and compromises on issues of national concerns. This was the case in 1992 for example when tensions arose between the ruling party and the opposition, Muslim, Christians and other religious leaders called upon the political parties to exercise restraint. Similarly in the year 2000, when there was a ban on drumming in the Ga traditional area, leaders from the different monotheist faiths and the traditional religious leaders, issued a call for respect of others’ traditions. The only problem with these organizations is that of representation. If for the large part they do represent in the negotiations with the government their respective faiths, for many other confrontational evangelists and advocate of polemics, these organizations do not have any legitimate authority to compel them into doing something they are not willing to do or support and accept any decision they don’t agree with. Many among the hardliners feel this way because on one hand they don’t think they are answerable to their leaders and on the other their groups and organizations, whether Christians or Muslims, quite often get financial support from outside. For a long time, the North of Ghana has been perceived as Muslim and the Southern part as Christian. How do you explain this divide? Was that divide a good policy? Justify your answer. How has the independence transformed the religious landscape of the country? Go on to Activity Four or select from one of the other activities in this module.